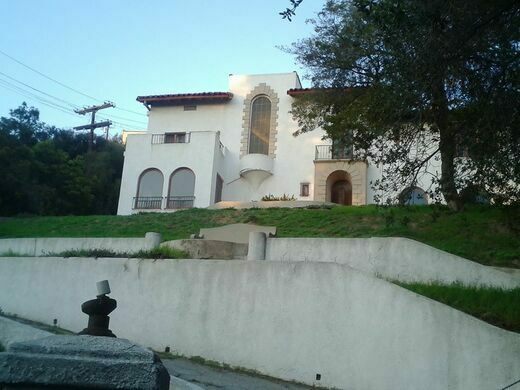 On the night of December 6, 1959, in a mansion that sits on a Los Feliz hilltop in Los Angeles, Dr. Harold Perelson struck his wife to death with a hammer, severely beat his 18-year-old daughter, and then ended his own life using a concoction of water, acid, and tranquilizer pills. 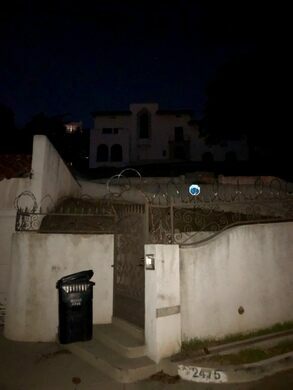 For the next 50 years, the Los Feliz murder mansion would remain completely untouched and uninhabited by anyone. 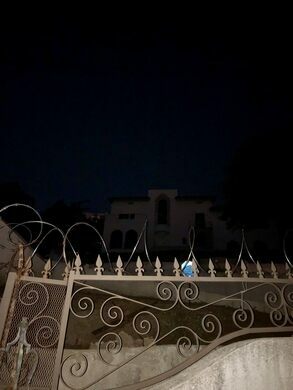 A year after the gruesome murder-suicide, the mansion was sold to a couple, Emily and Julian Enriquez, who only used the 5,050-square-foot house as a storage site. Neighbors recall seeing the couple bringing boxes to the mansion, but never staying overnight. In 1994, Rudy Enriquez inherited the house and, like his parents, neither stayed nor made any changes to the Perelson’s old decor. Local neighbors and brave visitors of the Perelson mansion have shared their tales. Through grimy windows, one can see a 1950s-style television set, a Christmas tree, and supposedly, neatly-wrapped gifts. The furniture is covered in a thick layer of dust and the living room remains the exact same as it was that one December night. 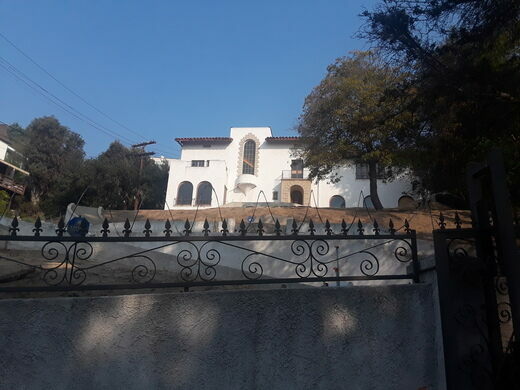 Rudy Enriquez, now a retired music manager, has refused to sell the property, though he has admitted to frequenting the site to feed his two cats who live there. The exterior of the mansion is in slow decay, and the local neighbors have had to pitch in to help maintain the property. Though no one has been formally invited into the home, it is rumored that the mansion attracted trespassers for some time. Former neighbors have even witnessed people having picnics in the backyard. One trespasser alleges that the house is haunted and that she was bitten by a black widow spider upon trying to break in. 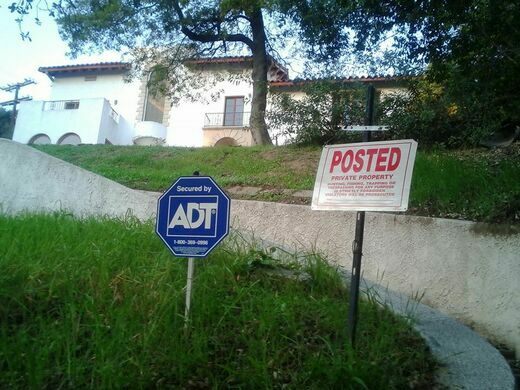 An alarm system has been installed and, to this day, remains one of the only changes made to the Perelson’s old home. No one knows what exactly prompted Dr. Perelson to commit those atrocities fifty years ago. Some have speculated financial woes, while others have dug up old, unconfirmed rumors of Dr. Perelson having been secretly hospitalized. All three Perelson children survived the incident, though none have been mentioned in the media since. What remains an even larger mystery is why the current owner has left the scene of the crime almost exactly as it was in 1959. Update: In March, 2016 the house was put on the market for $2.75 million — that and a willingness to live with the mansion’s grisly past. The house was sold in July 2016 for $2.3 million as a probate sale. All of the family’s ephemera was removed prior to the sale. The notorious Wild West outlaw was raised in this unassuming abode.